AML TDX20 Wireless Computer with DC Suite Software - Handheld Computer, CCD Scanner, Windows CE 6.0 Pro, Wi-Fi (802.11b/g/n), Bluetooth 4.0. Includes DC Suite Data Collection Software, DC Uplink (license required), DC Console Application Design Software, Green Protective Case, USB Cable, & Standard On-Year Warranty. 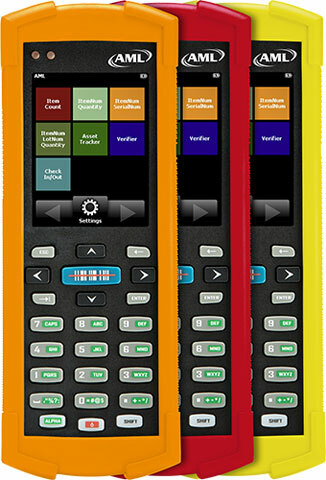 The TDX20 is the next generation of wireless handheld computers from AML, engineered, manufactured, and serviced in the U.S.A. It's an exceptional tool for use in commercial applications where the convenience of wireless data communication is preferred over wired methods, and where acquisition cost is an important factor when selecting a data collection device. LDX10 Batch HAndheld Computer, Protective Case, red. Interface Cables And Charging Cradle Sold Separately. The AML TDX20-0003-00 is also known as American Microsystems	TDX20-0003-00	or TDX20000300	.